Time to start lighting things in the cool strobist off camera flash way? The first thing in the list- light itself. After reading loads of babble on the internet, I figured that the reasonable thing to do here is to go for SB-800 (nowadays being replaced by it's big cool bro SB-900). Worse case I could use it on my D70s with all the iTTL functions from Nikon, best case it is so flexible and light that I would not mind carrying it around in the back pack all the time. I have no idea about other camera (like D90, D300, D700 etc.) settings, but you surely can use the off-camera flash in this manner with all Nikons that are above D70 except for the pro cameras that have no built-in flash that is used as a trigger. There are two really annoying things about this way of triggering your remote flash. First, if you use it in bright daylight it might not fire. Which is quite frustrating and makes you loose some shots that could've been really good... Also while working outside you have to make sure that the flash sensor 'eye' is facing the camera, otherwise it will most probably not fire even on a cloudy day. Indoors this setup would be great, because one way or another the light form on camera flash bounces from all the walls and hits the sensor. Inside ambient light is usually not so bright to interfere with this process too. But there still is the second downside to using this setup and it is catchlight from the on camera flash... Gahhh... It's always there in peoples eyes. Waste time with Photoshop? No thanks! So I ended up covering it with my hand. Imagine preparing the shot, adjusting the camera and then quickly covering the flash to hide the catchlights... And then the same thing again... And still having to keep in mind that there is that damn light sensor on the other flash if you're outside... That was more than enough for me. Got the whole Skyport Universal Set and it looked really good, all kinds of cables in it- apparently all I would ever need. Well no! There is no PC-mono cable included and that one is the one you need to connect the receiver to SB-800. Ghhh... One horrible evening of sitting around toys and not being able to play with them, then quickly back to the shop day after. 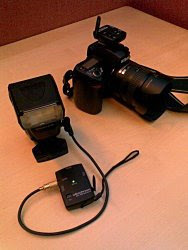 Plug the cable into your flash and receiver, set the flash to manual and adjust the power/zoom. Put the transmiter into hotshoe of your camera and you're good to go (channel/group settings for triggers are in the manual; read it; the default works too). The flash will be triggered every time you press the shutter release button. If you want to change to the rear/front sync just do it the same way as you would for the built in flash. With Elinchrome radio triggers life became much easier. 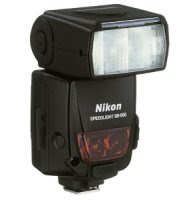 No worries about where your flash is as long as it lights the things you need in the way you need it. I have not tried testing at how far distance it would still be reliable, but I have not had the real need for it so far and as for the distances I work at, EL-Skyport does it's job like a charm. If you found some comments about their antennas and the fact that they seem flimsy, those are true. But it stopped bothering me now and even thought both transmitter and receiver are in my backpack all the time, I did not manage to brake them yet. Otherwise they do their job perfectly and as expected. The only times I had the flash not fire were when it wasn't recycled yet... Nothing to do with the triggers. All in all there is possibility to buy cheaper stuff (3rd party flash, eBay triggers and others that naturally lose quality with price...), but if you are looking into the above gadgets and wonder if they work together- yes they do. And yes, it is worth getting that flash off your camera! Going to indoor-photography, wanna more control over a lighting? I've found it useful holding it afar from camera in different angles, very beautiful and unique pictures.